On a recent trip to Eastern Canada, I experienced a fantastic moment where I was reminded of two important lessons. First, we cannot forget Mary is a powerful intercessor whom we should never fail to ask for help, and secondly, the ways we reflect the Catholic faith in our life can be evangelistic tools not only today but also for future generations. I learned that a man named Charles Napolean Robitaille is credited for having this statue made. He was a traveling salesman who came to this area one winter. As he tried to cross the frozen water with his horse and equipment, the ice broke and he fell into the river. On the brink of death, Charles called upon the Blessed Virgin Mary, asking her to intercede for him so he would live. Soon after, Charles found a way to get out of the icy waters onto land and he considered his escape from to death a miracle due to the intercession of the Blessed Mother. He then made his way to a nearby town, but, shortly after arriving, Charles became very ill. The local doctor soon informed Charles that there was nothing he could do and he would soon die. Charles again made a plea to the Virgin Mary, asking her to intercede for him. He wanted to be able to live at least ten years so he could raise a family. Miraculously, Charles lived. Charles Robitaille had this statue made to give glory to God and to give thanks for Mary’s intercessions, and all passersby are reminded that Mary is our mother who cares for us and wants to help. As the Queen Mother of Christ’s Kingdom, she will always take our petitions to the King if we ask (1 Kings 2:13-22). And knowing the prayers of the righteous are powerful and effective (James 5:16), we should ask Mary, who is the most blessed, docile, humble and righteous human person, for her intercessions often. Anytime we find ourselves in the midst of trials and sufferings, as we witness scandals in the Church, as we stand uncertain of the future – through it all – we need to trust God but we should also call out to our Mother Mary, asking her to pray that God will give us the strength, courage, and grace we need to persevere. 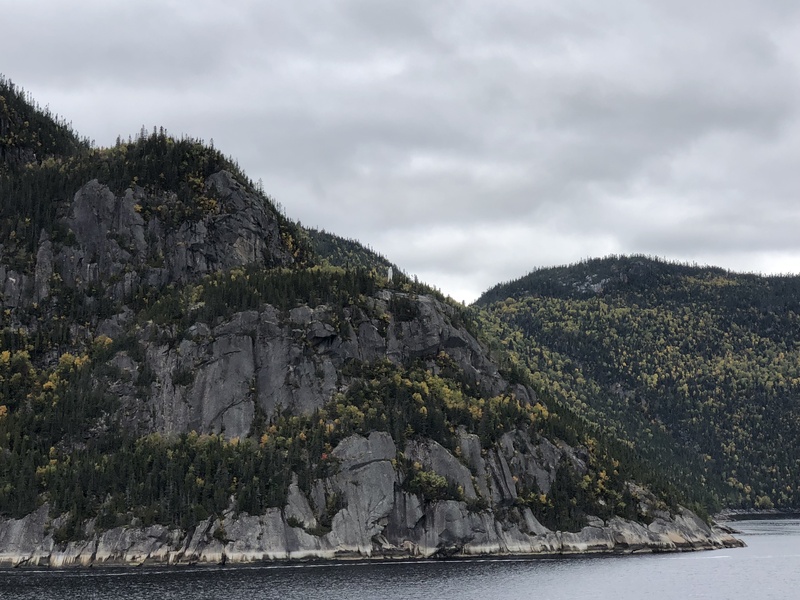 The second lesson from my experience on the Saguenay River happened while our boat was stopped for us to behold Notre Dame du Saguenay. As the captain called our attention to the statue, he announced that it was a tradition for all those who passed by this statue to sing Ave Maria, and, in honor of this, he was going to play the hymn for us. Then, loudly from all speakers on the ship, we listened to a magnificent rendition of the prayer. It was wonderful to gaze at the statue, contemplating Our Lady, how God’s glory was made evident through her and her role in salvation history. And at that moment as we sat at the foot of the cape, with the hymn heard by more than 700 passengers, I was deeply moved by the witness of Charles Robitaille. He had learned from Christ through the Catholic Church the power of intercessory prayer of the Saints, especially the Blessed Virgin. And in his moments of distress, because of faith, he asked for her prayers. And, in love and thanksgiving for Christ and the Blessed Mother, despite the toils and struggles involved, he had a statue made and erected onto a cliff for all to see. And now, 137 years later, Charles has evangelized numerous passersby, both Catholics, and non-Catholics, through his witness of faith. Like Charles, it is vital that all of us truly live our Catholic faith. Our authentic witness is a means of evangelization and we never know who may be impacted. Our actions, words, and decisions may impact others directly or indirectly and, more often than not, we may never know the extent of our influences – good or bad – in this life. With Our Lady of Saguenay, how many have passed by who never knew the Catholic faith? How many discovered the story of the miracles with Charles and began to believe in Christ and his Church? How many Catholics were reminded of the power of prayer, especially intercessory prayers to Mary, and became recommitted to working on their spiritual life? How many non-Catholic Christians were moved by the Ave Maria they heard, began to ask why Catholics have these practices and took the first steps of learning more about Christ’s Church? 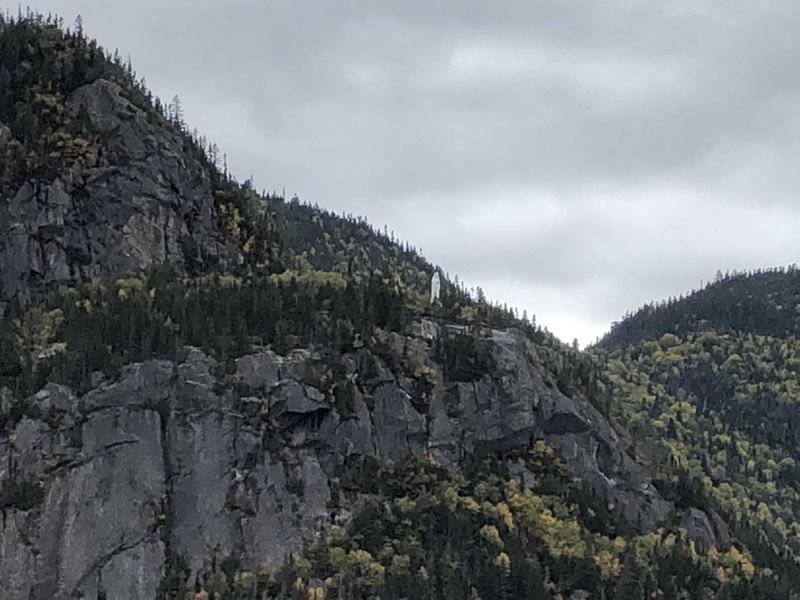 I can only imagine the many stories that have resulted from experiences at the foot of this statue, and I am confident many people have been able to have a deeper encounter with Christ through the instrument of Charles and Our Lady of Saguenay. But we do not have to erect a public monument to evangelize. We can be faithful Catholics in the public arena by bringing the faith to our workplace, getting involved in governmental roles to try to build up the Christian foundations of society and by promoting people, businesses and ideas that are in line with Church teaching. But as we live out our faith, we cannot forget that all of the little things matter as well. Having crucifixes in our homes, making the sign of the cross in public before prayers, being charitable to others, praying with others, always teaching the truth in charity whether we are parents or catechists and being willing to have conversations about Christ and his Church when opportunities arise are some examples of how we can be instruments of Christ in the world. And, most importantly, we need to always be growing in on our own intellectual and spiritual lives in order to be more conformed to Christ so we can truly be reflections of him in all we do. May we, like Charles Robitaille, live every moment with a deep love for Christ and his Church so we can be faithful disciples and instruments of his grace, impacting those around us and generations to come. What a lovely article, which led me to discover your website – what a goldmine! 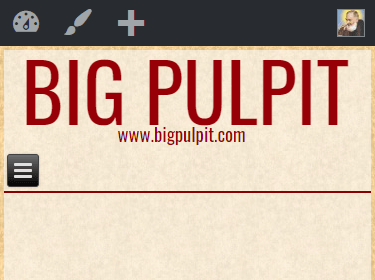 In your article, I was struck by the ongoing evangelization that is happening due to the boldness of the ship’s captain. Kudos to him, and may we all be so bold in our faith. Thank you for a great article! It would have lovely to have had the actual statue shown. I know! But we did not have permission to post any from the internet and the personal photos I took are not great as I only had my camera phone with me at the time. Sorry about that! But I am happy to share two of my personal photos. see below.